Bored with the usual white console tape? Time to bust out the good stuff! 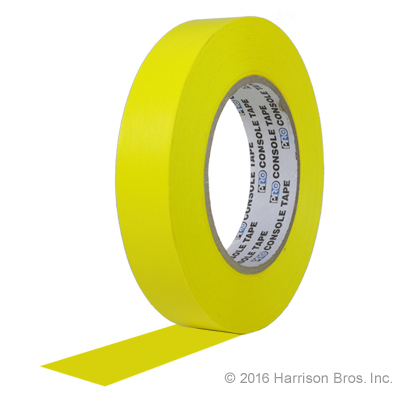 Pro Tapes and specialties now offers console tape in lots of colors. You can get it in standard colors like red, yellow and blue and also in neon, glow in the dark colors like orange, green and pink. All have the same quality non-residue adhesive like the white stuff and there is no Sharpie Marker print through.